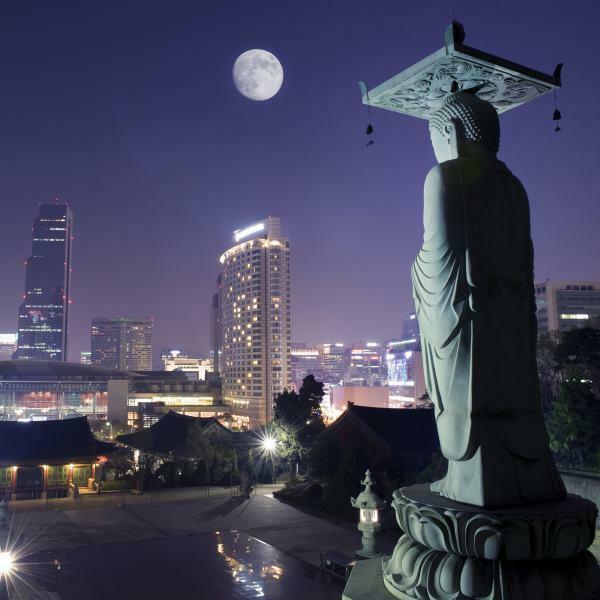 On this signature experience, enjoy the very best that glittering South Korea has to offer. The adventure begins in Seoul, the political and economic hub of the country. Here you’ll visit the remarkable Gyeongbokgung Palace – built in 1395 – under the leadership of the Joseon Dynasty. Later you’ll explore a cultural village before ascending Namsan Mountain to tour the iconic N Seoul Tower. After spending an afternoon to discover Seoul’s trendiest district, Hongdae, the scene shifts to beautiful Busan. In Busan, a land of sprawling beaches, towering mountains and well-preserved temples, visit the Gamcheon Cultural Village, where a cascade of traditional-homes wind their way up the mountainside. Later in the day, head to the glass-bottomed Oryukdo Skywalk which juts of a 115-foot cliff, allowing you to watch as the waves crash below. Final stop: The volcanic, enigmatic island of Jeju. After spending a day to appreciate the island, complete with a trip to the local folklore village, savor your final day on the island with an encompassing tour that includes Sangumburi Crater, Yongduam and the can’t-miss Seongsan Sunrise Peak. The gateway to Seoul, the port of Inchon has served as the capital city’s link with China and the world since the 5th century. Seoul has risen from the ashes of the Korean War to become a thriving, modern metropolis. Much of the impetus behind the city’s reconstruction was its selection as host to the 1988 Summer Olympic Games. Despite its modern-day buildings and sophisticated subway system, remnants of Seoul’s 600-year history can still be seen today. Its many surviving structures, royal palaces and temples provide a fascinating peek into Korean history, culture and ancient way of life. Prices are per person, based on double occupancy. Offer is subject to availability and change without notice. Some restrictions may apply.